In Cambodia they have the Buddhist and Hindu temples, in Japan there are temples and shrines. 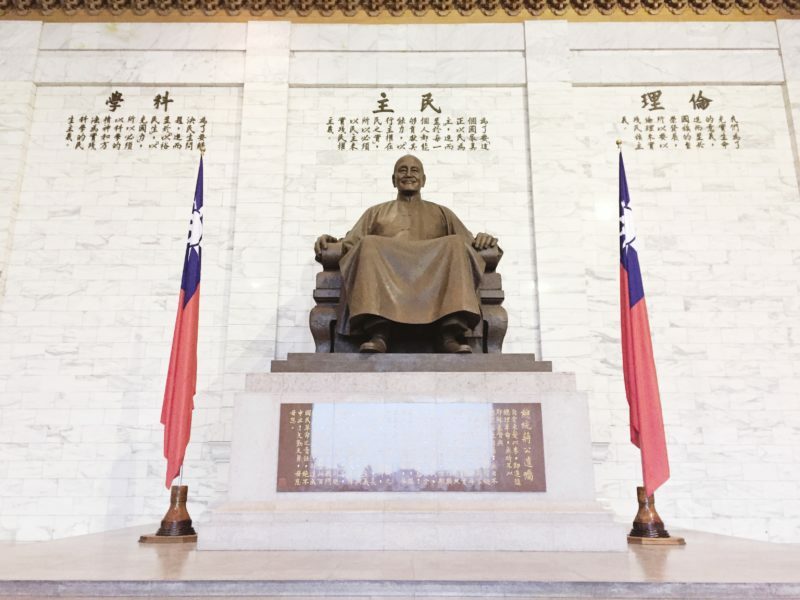 In Taiwan they have memorial halls, erected to commemorate some of their greatest historical leaders. 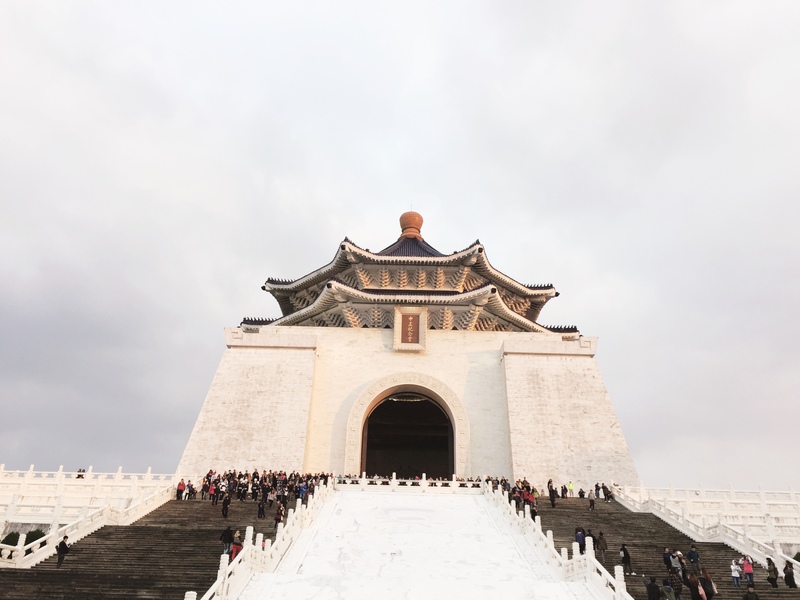 In my short time in Taiwan, I was able to visit two of these—Sun Yat-sen and Chiang Kai-shek—two of the most popular tourist spots in Taipei. I know I promised to do slow traveling and to stay away from the tourists spots as much as possible, but I’m allowed to break my own rule. Besides, if you are only given 4 days in a country, you should forget about slow traveling, that ain’t possible. So what’s so special about these two memorial halls that locals and foreigners alike like to visit them? 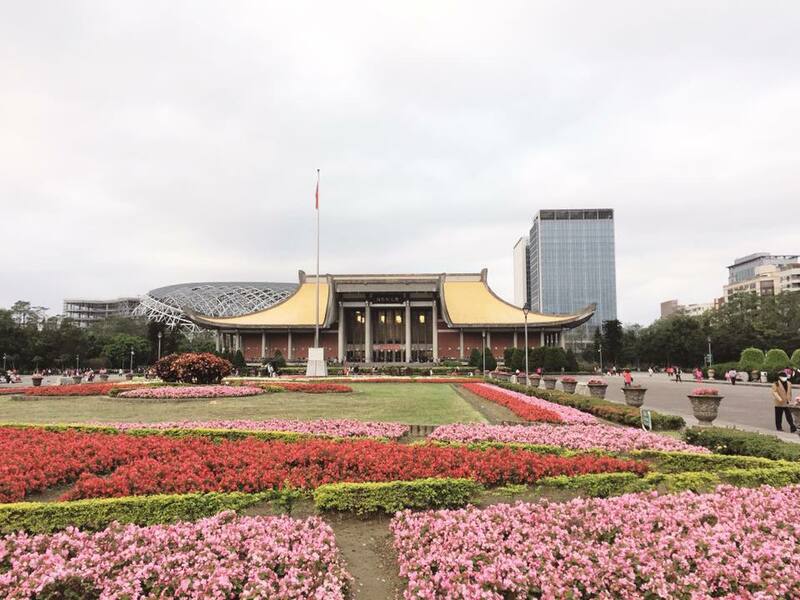 In Xinyi District you can find the Sun Yat-sen Memorial Hall. It can be easily reached by train, in fact, one of the MRT Stations is named after it due its location. Before this trip, I don’t know anything about Sun Yat-sen, I just went with the suggested of my friend, Christine. Because she didn’t have her own WiFi we had a little bit of miscommunication and I ended up at Nangang Exhibition Center, which is the last station of the Blue Line. Good thing the fare is not that expensive and it’s easy to use the MRT, lest I’d be depressed. So after my little “joy ride,” Christine and I finally met at Sun Yat-sen Station. We started walking, and I had no idea where we were going. Christine had been in Taiwan a week before me so she is more familiar with the area; hence I let her decide where we should go. We grabbed coffee, I had noodles in a 7-Eleven where we also chatted for a bit, before we set out to go to Sun Yat-sen Memorial Hall. So who is Sun Yat-sen? Good question. I had no idea either. Until this trip of course. Sun Yat-sen is the national father and the first president of the Republic of China. Born in 1866, Sun was a Chinese physician, writer, philosopher, calligrapher, and revolutionary. Being the founding father of China, he is revered as one of the greatest leaders of modern China. Sun’s greatest legacy is the Three Principles of the People, a political philosophy that promotes nationalism, modern government, and people’s livelihood. Sun Yat-sen Memorial Hall was built in 1972 in his memory. It’s a multi-purpose multi-purpose social, educational, and cultura center for the public center. The place is big, with a land area of about 28.4 acres. It’s most prominent feature is the humongous sitting Sun Yat-sen statue by the main entrance hall. It would remind you a lot of that Abraham Lincoln statue. There is a formal changing of guards every hour, which we weren’t able to see. In the memorial hall’s proximity you will find the Chung-shan Park, with a beautiful garden and an Emerald Pond known locally as Lake Cui. Interesting Fact: China has their own Sun Yat-sen Memorial Hall and Chung-shan Park. From Sun Yat-sen you can see another famous Taiwanese landmark, Taipei 101. Christine and I didn’t feel the need to go up there; we were okay with just taking some photos with it in the background. I wasn’t really planning to go to Chiang Kai-shek though most of my friends recommended it. But the Tour me Away Taipei Chillout tour that I joined included CKS in the itinerary so I was able to visit it by accident. About Tour me Away, let’s talk about that next time. This memorial hall was built in tribute to another former president of the Republic China, Chiang Kai-shek. He was was a Chinese political and military leader and he was the president of China from 1928 to 1975. He was the leader of the Kuomintang (KMT), a Chinese Nationalist Party. The lost of KMT from the communists in the civil war forced CKS to flee China and to begin a government in exile in Taiwan. This is the reason why many countries consider Chiang’s government as the legitimate Chinese government. 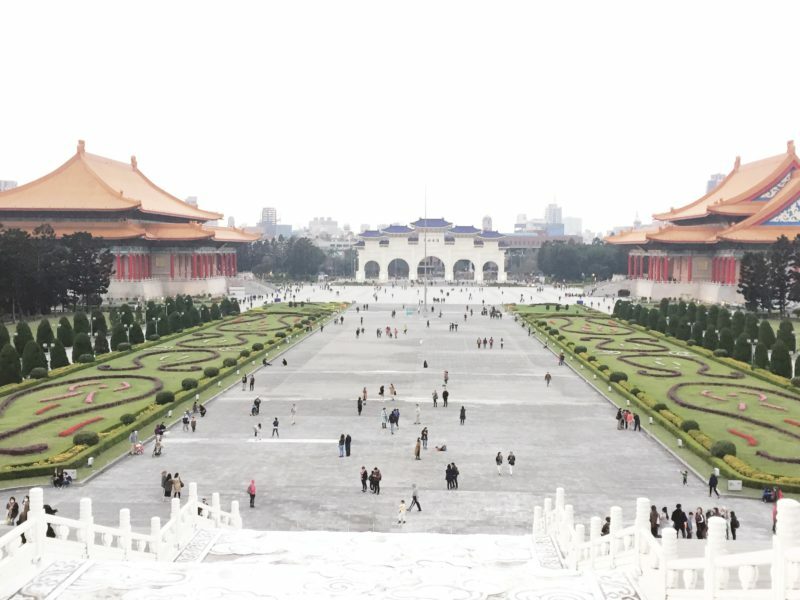 Chiang Kai Shek Memorial Hall is located in Zhongzheng District. The roof of this memorial hall is of octagonal shape to represent the number 8, which according to Chinese tradition is linked to abundance and good fortune. There are two sets of stairs leading up to the main entrance with 89 steps because CKS died at age 89. Just like in the Sun Yat-sen memorial hall, there is a big statue of Chiang inside this building. Tourists like to watch the guarding mounting ceremony here, and I happen to have witnessed it when I visited. Both memorial halls can be visited free of charge. 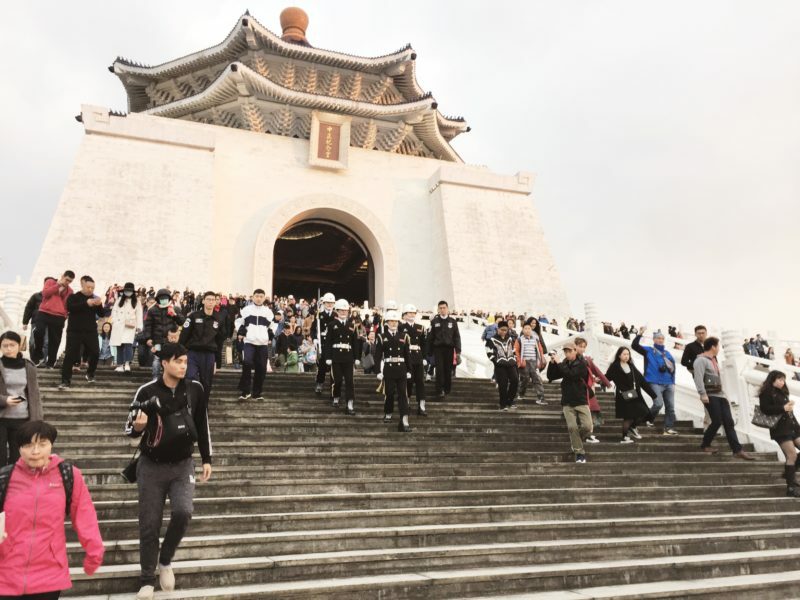 Chiang Kai-shek Memorial Hall is open daily from from 09:00 a.m. to 6:00 p.m. except Chinese New Year Eve and Chinese New Year. 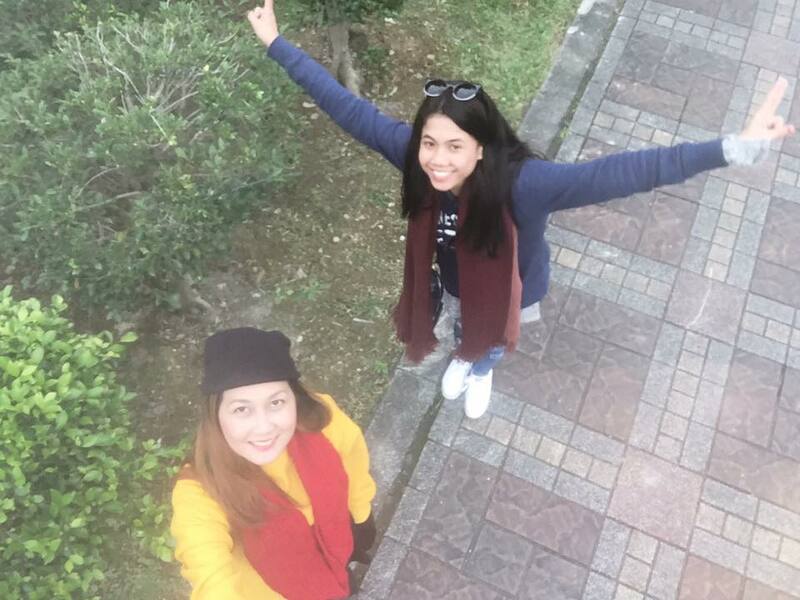 The Memorial Park on the other hand is open everyday from from 05:00 a.m. to 11:00 p.m.
Sun Yat-sen Memorial Hall on the other hand is open daily from 9:00 a.m. to 6:00 p.m.
You should go visit it Cathy, Taiwan is an amazing country, you will surely love it. Honestly, I have no plans of visiting china recently, but all the places mentioned in your post with so much history are really fascinating me. I will surely love to explore Chung-shan Park, with a beautiful garden and an Emerald Pond. Hi Suruchi, just a clarification, China is different from Taiwan. This post is about Taiwan. Hi Neha, just a clarification, China is different from Taiwan. Although there are places in China that share the same names, this post is specifically about Taiwan. I always like combining history in my travels. There is so much scope in Taipei. Loved reading the interesting bit of info shared. Omg i just realized how stupid I am thinkin taipei 101 is something like a lazy caption on pictures of people touring in taipei ??? it is a tower?! 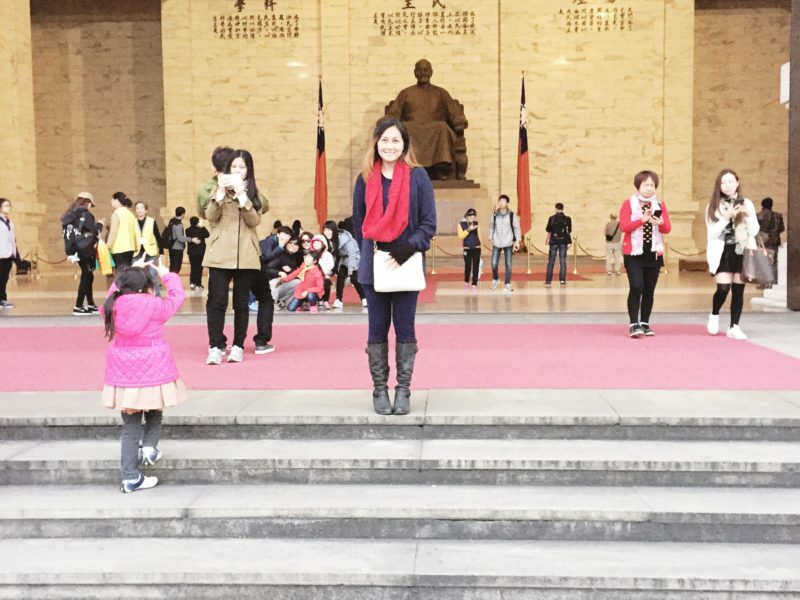 Anyways, I feel like Taiwanese memorial halls always seem to be spacious with wide stairs and a number of steps. Does it have any religious significance? I am pretty ignorant about all these places, so it was good reading your article. I really appreciate your style, you give plenty of information and really have an eye for photography! I am now most eager to find out more about those memorials! I only used to hear Chiang Kai-shek from my friends who studied there, and it’s good to finally know about him through this interesting piece! And I also think that it’s okay to veer away from slow travel every once in a while especially when time won’t permit you to do so. These are some impressive memorials. They’re beautiful to see, and thanks for adding the history that makes them important to visit. We hope to make it to Taiwan later this year and all the tips from trip are an inspiration and a big help. Memorial Hall looks amazing! Taiwn;s been always on top on my list and luckily I am going to visit it this june and I will definitely visit this place! Thanks for sharing! Cheers! The memorial halls look magnificent and are a fitting testimony of the love and popularity of the leaders they have been dedicated to. The structures are really artistically designed and the ambience around the halls too look serene and peaceful. Anyway, I think you did a great introduction of Sun Yat Sen. When I was growing up, we studied about him a lot in our Chinese classes. My dad was also a supporter of Chiang Kai Shek government. The Memorial Hall looks magnificent! I’ve never been to Taiwan and for some reason always imagined it to be super artsy with hipster laneway cafes. Lol, how ignorant of me. I enjoyed reading your post. I’m going to add Taiwan on my 2017 Year of Asia list now! Hi Michelle. Actually, they do have a place there with hipster establishments, I just haven’t wrote about it yet.